A linguistics PhD can set you up for a lot of jobs, and not just teaching linguistics at schools (although this is also a worthy and rewarding career path) – just look at where Noam Chomsky ended up. Lots of graduate schools don’t offer Master’s programs in linguistics, rather, only PhDs. However, for many of the courses below, in special circumstances, when you’ve completed a certain amount of modules and work, you can apply to just be awarded a Master’s in linguistics rather than carrying on and completing a full PhD. Whether this is possible or not will depend on the university. Bear in mind too that as these are PhDs, many schools will offer decent funding during your years of research. However, this will also depend on the school, so make sure you’re able to afford your studies. American institutions in particular can be expensive. 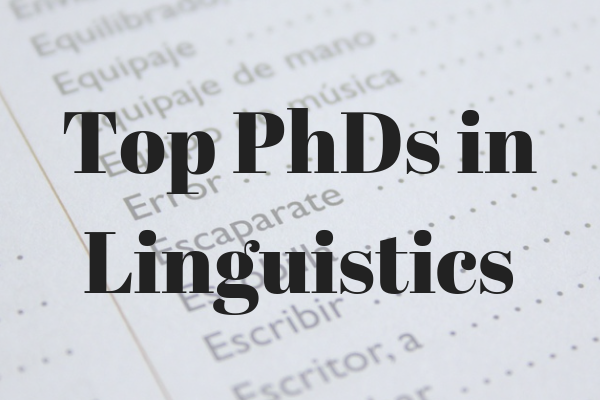 If you're currently searching for a PhD in Linguistics, take a look at our program listings. Founded in 1961, the Graduate Program in Linguistics at MIT was headed by the renowned linguist Noam Chomsky in the 1960s and 1970s, and quickly garnered an international reputation for excellence. As of 2018 it stands at the top of the list of universities worldwide in the subject of Linguistics. The institution says its ‘distinctive feature… has been its insistence on explicit theories of language formalized as grammatical rules and constraints.’ On top of this, the program holds that language is an innate quality unique to humans and that there are universal principles of human language, a theory famously put forward by Chomsky and a premise that leads the institution’s research and program. This is a 5-year program that introduces students to the ‘basic concepts and results of research in generative linguistics’. There are several areas available for specialization, including experimental linguistics, phonology and phonetics, semantics, and syntax. All students are expected to write and defend a dissertation by the end of the five year program. The Linguistics PhD degree at the University of Massachusetts Amherst claims that most of its students ‘go on to become professors in the field of theoretical linguistics at universities around the world.’ Although it receives around 130 applications every year, it accepts less than ten students, making it a highly competitive degree. This program is also five years long, and of course, contains a dissertation at the end which must be defended. Requirements for the PhD include either a B.A., a B.S. or an M.A. degree; however, the university doesn’t offer a Master’s program. Presumably other programs offer a similar incentive for those from low-income backgrounds, but the University of Massachusetts Amherst offers a tuition fee waiver and a minimum stipend of $22,500 for students ‘without other sources of financial aid’. The extremely well-respected Harvard University also offers no Master’s course but does offer a lauded PhD course – as of 2018, the third best in the world. The requirements are tough: they expect a reading knowledge of two languages besides English. However, other admission requirements are ‘flexible’: those with strong language skills and an interest in the field but no formal background in linguistics are also encouraged to apply. It also states that a B+ average must be maintained for the duration of study, and two grades of B- or below will result in you not being able to continue your studies. Harvard University’s Linguistics PhD program requires your dissertation prospectus to be submitted in the fall term of the fourth year, in order to give you adequate time to write and defend. The University of Cambridge’s PhD in Linguistics: Theoretical and Applied Linguistics is a 3-4 year full-time degree that, according to the university, is unique in the UK due to its combination of theoretical and applied linguistics. 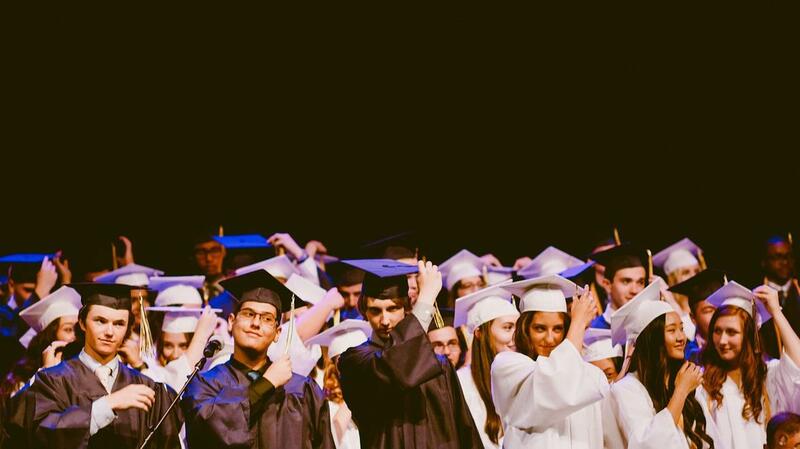 As is tradition in the United Kingdom, the PhD is awarded almost solely on the dissertation, which is expected to be written across the three or four years of the PhD. As with most UK PhD programs, a requirement for admission is that you already have a Master’s degree with a grade of Distinction or equivalent. Most time will be taken up meeting with your supervisor to discuss your dissertation, along with individual research. There are, however, training seminars, with two seminars/classes per term. Lectures are offered, but are not mandatory. The dissertation has a word limit of 80,000 words (which is the length of a regular-size novel) including footnotes and appendices, but excluding the bibliography. After this, there will be an oral examination. As with all the universities on this list, Cambridge is one of the best schools in the world, so admissions will be tough. The University of Edinburgh offers a PhD in Linguistics and English Language supervised by specialists in multiple subdisciplines of linguistics, including developmental linguistics, historical English linguistics, language evolution, syntax and semantics, and varieties of English, among others. The department also collaborates in an interdisciplinary manner with biology, psychology, cognitive science, and speech and language technologies. Application to this school includes a research proposal which the university will use to see if it can offer you an appropriate supervisor for your topic. The proposal should be around 1,000 words and should be a relatively detailed plan of your research topic. Similar to the University of Cambridge, the course focuses on the completion of a publishable dissertation, with some seminars and classes across the semesters. PhD courses in the United Kingdom are research-heavy, concentrating on individual research rather than taught classes. This gives you a high level of freedom, but also a lot of responsibility for your own work. If you're searching right now for a Linguistics program, find a great range in our program listings.